Why customer churn is particularly important to B2B companies in defined and concentrated verticals. What the SellingBrew SalesPulse research survey had to say about the most popular retention strategies. How different types of defection and attrition occur and why they are so difficult for salespeople to spot. Seven innovative strategies that leading sales operations are using to improve their customer retention. How to Develop Real Competitive "Kill Sheets"
Competitive kill sheets are a great tool to help salespeople in the field. But most so-called kill sheets are nothing more than glorified competitive profiles. In this concise tutorial, learn how to develop real, strategic competitive kill sheets that highlight and reinforce the competitive differences that actually matter to prospects. 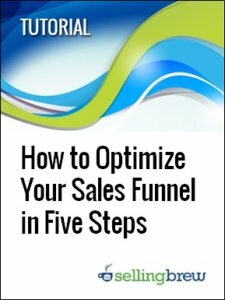 When you’re trying to optimize your sales funnel, it can be a bit difficult to know where to focus and how to get started. In this step-by-step tutorial, you'll learn a straightforward process for improving sales results with relatively simple and easy-to-execute "tweaks". Content marketing is getting lots of attention, but it's easy to gloss over some crucial processes. In this on-demand webinar, you’ll learn about ten proven strategies for creating more effective sales and marketing content.